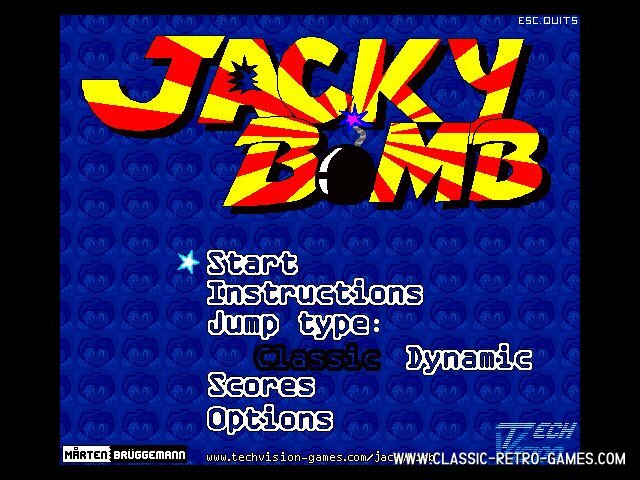 Although Techvision games named this remake 'Jacky Bomb' it's nothing less then a great Windows version of the famous Bomb Jack game. 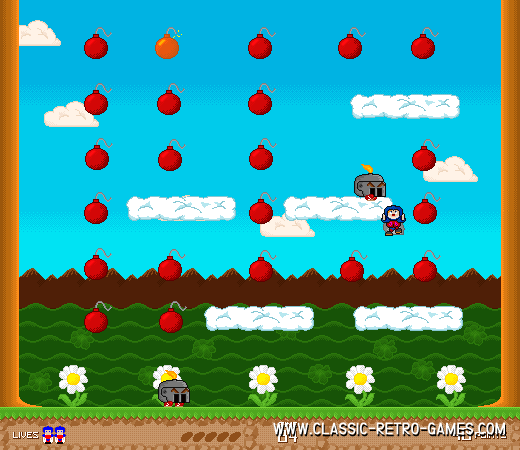 Bomb Jack is a single screen platform action game in which you need to grab bombs and avoid enemies. It has some resemblances with Bubble Bobble, but still is quite different. Bomb Jack was very popular on arcade and the retro version on arcade was played on a rotated tv screen (portrait). The remake is landscape like many of the ports to other homecomputers and gameconsoles in the years after its first release. 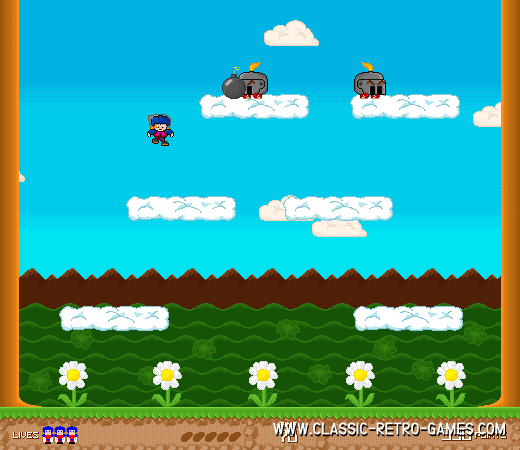 This remake by Techvision is free for download for your Windows PC. Enjoy Bomb Jack! Currently rated: 4.3 / 5 stars by 16 gamers.